Dental bridges are used to replace missing teeth. While not considered ideal compared to utilizing dental implants, they are still a popular option for patients who can not have an implant, or would not like to except the risks of implant surgery. There are a few types of bridges to replace missing teeth. 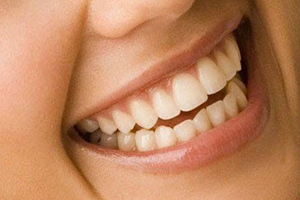 The standard bridge connects two healthy teeth to a fake tooth in the middle, but there are bridges that include more teeth, or even less teeth. Aesthetic options exist for bridges, as well as strong aesthetic materials that do not contain metals. The most aesthetic materials are not considered strong enough to be used with bridges, but materials like e.max (Lithium Disilicate) or zirconia can be used in the front of the mouth or zirconia can be used in the back of the mouth. The most unaesthetic part of a bridge is the connector between the natural teeth and the fake tooth, also the need to use stronger materials affects the vitality of the restoration. Discuss your options with a Smile Stylist to understand the compromises of bridges and get the most aesthetic options available. One type of bridge called a “Maryland bridge” is cemented or bonded to the backs of the teeth. This type of bridge can often by done without the need to prepare the healthy teeth next to the space. Adolescents will often get this type of bridge to replace missing teeth, while they finish growing, then replace them with dental implants. While parent can be crushed when they find out that their children are born missing adult front teeth, Smile Stylists can make tooth replacement look so completely natural, that they will never miss the real thing!